The first section of the bill makes note of the prohibition on a local-government-fee authority. The prohibition exists because local governments earn a large local property tax; 87.5 pct of gross value on oil and gas production was established by the legislature to make sure local governments could pay for impacts from drilling. If local governments wish to pay for their own inspectors, they have a revenue source. The second section would require the Colorado Oil and Gas Conservation Commission to inspect every well annually; this is unnecessary. Not only would that double the size of the COGCC in one year, the Commission would not be able to comply and staff up in an effective manner. Wells are visited at least weekly and often times daily by company personnel who are incentivized to self-report due to the strict environmental liability laws. In addition the industry often uses solar powered electronic telemetry to monitor pressures and tank volumes. In the end, this bill would require a tax increase of at least $7 million, for the additional 70 FTE require. That $7 million doesn’t include the amount local government will charge. At first read, this bill is full of cumbersome, expensive requirements of dubious merit. 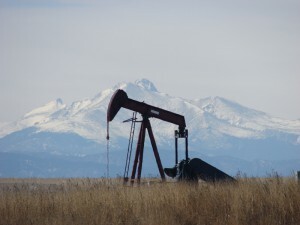 Last week, Democratic Senate Majority Leader Morgan Carroll told the Denver Business Journal that the Senate Democrats planned to introduce an oil and gas regulation package this week. The first of the regulations, SB13-202, has been submitted to the Senate by the Boulder County Democrat Contingent – Democrat Sen. Matt Jones, with House sponsor Democrat Rep. Jonathan Singer. Once again, Democrats have proposed a solution looking for a problem, as payback to their friends with hefty investments in the failing green energy sector to the detriment of Colorado’s booming oil and gas industry. Wow let's just get rid of all of that pesky revenue for our State – that's the right idea, chase all business OUT and then we can be just like California. Goody. Our business will be next to go – after 22 years of being business-owner here, we no longer feel welcome. This is what happens when Dems control both houses and the govenorship. Exactly what the Dimwits said they were going to do – make Oil, Gas, Coal (which equals electricity) so expensive that their bloated Green Energy buddies can rake in the cash!